Home Apps Gameloft Games Modern Combat 4: Zero Hour on iOS goes free! Gameloft recently announced that the Gameloft’s award-winning First Person Shooter, Modern Combat 4: Zero Hour on IOS goes free as IGN free game in the month of January. 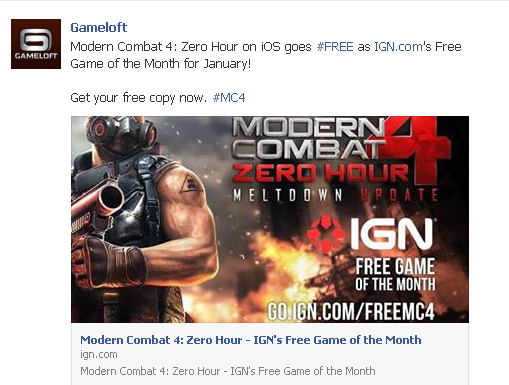 The free Modern Combat 4: Zero Hour code is now available at IGN's official links, first come first serve basis only. If you buy the game at App Store it will charge the full price, user must get it through IGN's link to get it free. 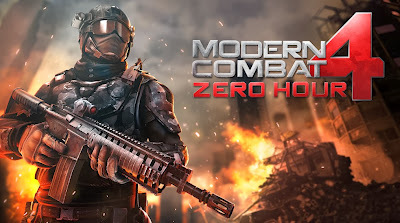 Modern Combat 4: Zero Hour features a great single-player campaign as well as multiple online multiplayer game types and some rather nice virtual controls, it's the one of finest First Person Shooter(FPS) game on iOS. Go to IGN's link then click on the GET MY CODE and its automatically generated.